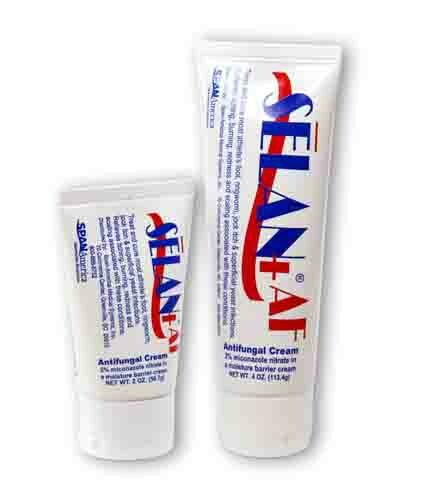 Selan+ AF can be used to treat such conditions as superficial yeast infections (candidiasis), athlete's foot (tinea pedis), ringworm (tinea corporis) and most jock itch (tinea cruris). It can also relieve symptoms such as itching, burning and redness associated with these conditions. Like all Selan products, Selan+ AF is petrolatum-free and will not clog diaper pores or impede diaper absorption. 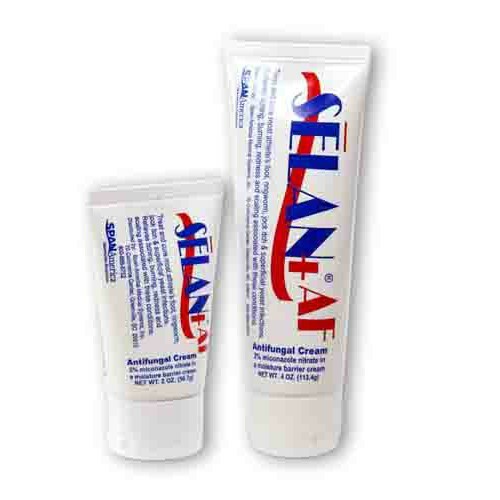 Selan+ AF is available in 2-ounce and 4-ounce tubes. Great for athlete's foot - Reasonably priced, pleasant/neutral scent (you don't smell like a pharmacy nor a perfume shop), washes off hands and fingers easily w/soap and water. Best product I have ever found for treating athlete's foot -- not only does the AF part of the product kill the fungus, after wearing shoes for sometimes long workdays, the moisture barrier is great for the skin under and between toes.